Gráficas Z s.l. informs that the address www.graficasz.com corresponds to Gráficas Z s.l. registered in the Mercantile Registry of Zaragoza on 8 August 1995 Volume 1792, folio 142, page Z-16650, 1st entry with CIF B50645498. Gráficas Z collects data from its potential customers in the contact forms, solely for the purpose of responding to the information requested by the web visitor. The data requested in the forms are: name, company, contact telephone number and email. The data provided will be kept as long as the business relationship is maintained or for the years necessary to comply with legal obligations. You have the right to access, rectify, oppose and cancel the processing of personal data, under the terms and conditions set out in REGULATION (EU) 2016/679. For any of these circumstances you must send an email to rgpd@graficasz.com, stating your wish. 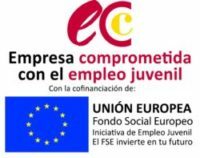 In compliance with REGULATIONS (EU) 2016/679 OF THE EUROPEAN PARLIAMENT AND OF THE COUNCIL of April 27, 2016, we inform you that the data collected in the communications or subscriptions will be treated confidentially and will become part of a file whose responsible is GRÁFICAS Z sl and that it has been duly registered with the Data Protection Agency. The Spanish Data Protection Agency, together with the European Council, ensures correct compliance with the regulations. WWW.GRAFICASZ.COM and its promoters are subject to the regulations issued by this body and undertakes to do everything necessary to ensure the correct use of the data provided by users and customers. In order to provide advisory and intermediation services, it is necessary to transfer your data to third parties, specifically to our administrative manager. By providing us with your personal information, you expressly authorize us to discuss and share your information with third parties, to the extent that they are directly involved in the provision of the contracted product. Gráficas Z S.L., assumes responsibility for the personal information you provide us, and for this purpose we require all third parties to respect the security of your personal data and to treat it in accordance with the law. We do not allow our third-party service providers to use your personal data for their own purposes and only permit them to process your personal data for specified purposes and in accordance with our instructions. Your data will never be shared with or sold to third parties for marketing purposes. It will be used only for the management, administration and maintenance of our business relationship. The User guarantees that the Personal Data provided to GRÁFICAS Z s.l. is verified and is responsible for communicating any modification of it. The user will be solely responsible for any loss or damage, direct or indirect, that may be caused to GRÁFICAS Z s.l. or to any third party due to filling in the forms with false, inaccurate, incomplete or outdated information. The completion of the forms included in the website implies the express consent of the Users to the inclusion of their personal data in the automated file of GRÁFICAS Z s.l. Cookies are small files, often including unique identifiers, that are sent by web servers to web browsers, and which may then be sent back to the server each time the browser requests a page from the server. Cookies can be used by web servers to identity and track users as they navigate different pages on a website, and to identify users returning to a website. Please note that cookies can not harm your computer. We do not store personally identifiable information in the cookies we create, but we do use encrypted information gathered from them to help improve your experience of the site. Cookies do not contain any information that personally identifies you.